Each year Houston is the host to a huge technology conference for the Offshore industry. This year the 2014 OTC Offshore Technology Convention will be held in the Reliant Center at One Reliant Park in Houston Texas. National Instruments will have a booth 3471 showcasing their latest products relevant to the offshore industry. I'm sure they will have their latest CompactRIO which has many installations in pumping and hydraulic fracturing operations for land-based operations. The proven reliability is perfect for offshore use. Here is a list of all the basic NI TestStand documents I can find online. I attended this TestStand 3hr. course a few times. It's only useful if you do all the exercises in the book, then try making your own. I just found an excellent way to invest money and receive more than a bank could ever offer as interest. Have you ever felt jealous of the credit card companies that charge over 10% to their customers. Imagine if you could invest money like a credit card company. Imagine if you could choose who gets your money based on their credit history. And you can limit how much you invest in each person, usually only $25. Now you can by signing up with Lending Club and find out how to invest like a credit card company. You can also get a loan at Lending Club. Request a loan today and you can get funded in just a few days from people who joined Lending Club for the investment. This new combination of people with money to invest by loaning it to people in need is called P2P Lending (peer to peer). Several investors pool their money together and loan it to one person. No one invests all their money in one person, usually your money is spread out with multiple loans each earning you interest. You can also sell your positions in the loan if the persons credit history starts to go negative. Lending Club respects the privacy of its members. Your personal information, whether you borrow or invest will always be kept totally confidential from other members -- including me. Here is my latest video. It's an overview of National Instruments TestStand test automation software used with LabVIEW to create a PCB testing system. This video shows how easy TestStand and LabVIEW can be used to create a powerful test automation platform. 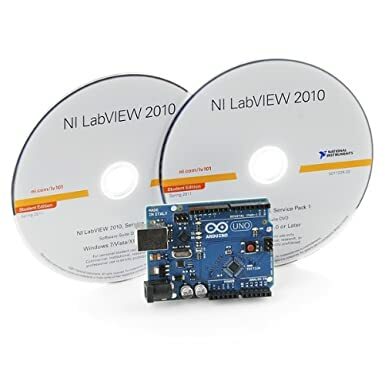 I couldn't find a lot of information on how to start using NI TestStand and LabVIEW together to create a PCB test sequence program. I knew it was easy to do but I didn't realize it was this easy to get started. After one afternoon playing I was able to do this video. My next video will be a little more advanced. I attended my first day of NIWEEK. It was lot's of fun. I registered my attendance first thing in the morning and the lady accidently gave me a Certified Developer tag for my badge. So I was a CLD for only a day. It was my lucky day. Hopefully it's a sign of the future. Maybe I will truly be a CLD soon. I attended a LabVIEW seminar on file management in the morning after the keynote speeches. I skipped lunch and walked around the Exhibit Hall to see all the neat things people have created using LabVIEW and NI products. In the afternoon I attended a hands-on LabVIEW training and then a TestStand training. Later in the afternoon, I returned back to the Exhibit Hall to continue learning how others have used LabVIEW to solve a problem or just sort their marbles by colors. I really enjoyed the Hands-on TestStand training. My LabVIEW and TestStand batteries have just been recharged. I hope it will show in my posts. Hi, I'm currently a Lending Club member currently making 16.5% on my investment. I think it's a service you should check out. Lending Club is a great alternative to banks and credit cards. As an investment vehicle you loan out your capital to other members in need of low interest loans. It's all private and confidential. No names are any identifying information is used. The borrowing members pay you back your principle with interest each month. You can limit your exposure to each borrow to just a few dollars (generally each loan is $25 or less to the lender, you). You can pick and choose who to invest in based on criteria you decide. For example: no one with a credit score below 700 and debt-to-income ratio above 80%. It's all up to you to determine which loans are good to invest in. Lending Club is also an alternative to credit cards by loaning money to individuals based on a simple application process and invested in other individuals like you and me. Folks who act as the bank as mentioned above. Lending Club has low fixed rates on loans up to $35,000 for anyone who needs money to pay off high interest credit cards or to combine payments into one account. The application only takes a few minutes and is completely confidential, secure and online. Lending Club respects the privacy of its members. Your personal information, whether you borrow or not and how much you borrow will always be kept totally confidential from other members -- including me. Nice introductory to the Arduino and LabVIEW. Is the case structure "case sensitive?" Here was one of those tricking CLAD questions that I've never come across until I was taking the test. If this vi was run, what would the output be? lowercase "clad". Yes the case structure IS CASE SENSITIVE. Here is what it looks like when I correct the lower case string input. By correcting the string input to "Clad", it now matches the wording and case of the case structure and runs the "Clad" case which gives the one button dialog box output of "This is Clad". Yes, the case structure IS case sensitive. Try it before you take the CLAD test. This Kindle Keyboard is so awesome. Sure it's black and white and a little slow, but did I mention it has a web browser and FREE 3G. That means I can check email anywhere without paying for the airtime. I can check my Yahoo and Gmail. I can read TheDrudgereport.com, Wikipedia, update my Facebook and Twitter and anything in real time from anywhere without a charge. This just blows my mind. Here is a pic of this website on the Kindle Keyboard..